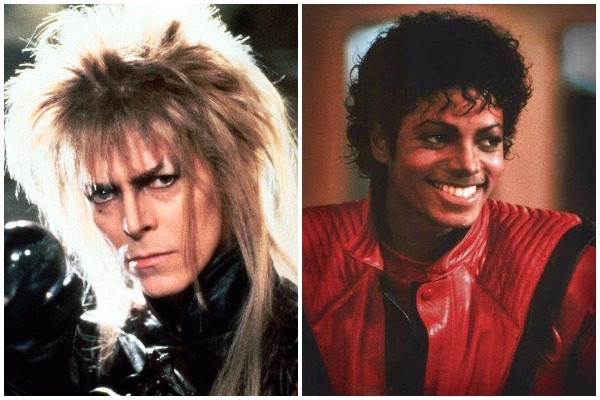 While we think of Labyrinth as a classic '80s movie, it was actually a flop when it first came out. Jim Henson's dark and bizarre fantasy adventure (and his last feature film) only gained a cult following when it was released on VHS. 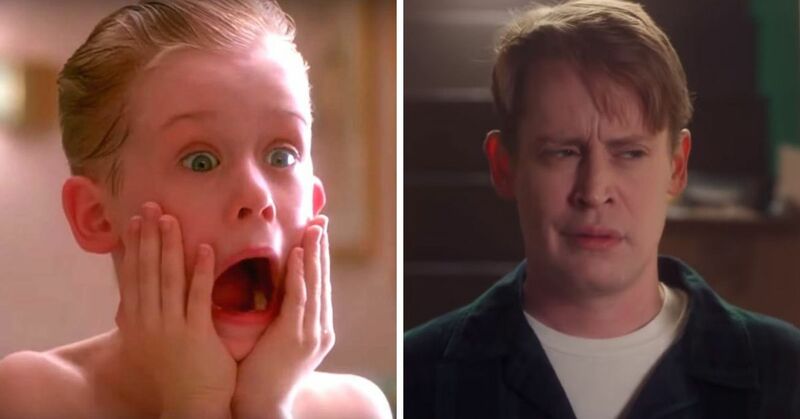 We watched it over and over again as kids, but there are some small details you probably missed. Actress Shari Weiser was inside the Hoggle suit, while four puppeteers worked the outside of the costume. 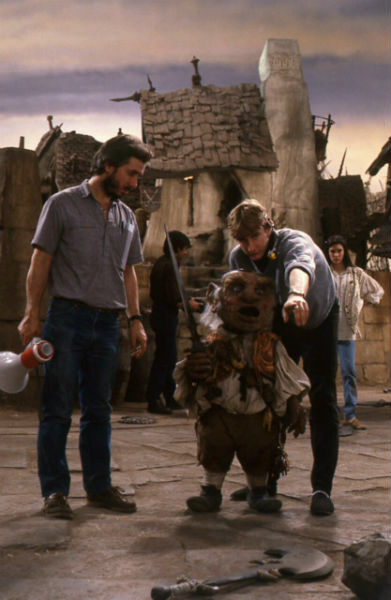 Brian Henson, director Jim Henson's son, provided Hoggle's voice, and also controlled the 18 motors that operated his face. Jennifer Connelly had to dangle in a harness 40 feet above the ground to get the shot, with more than 100 puppeteers in latex gloves acting as the hands. The actress was in danger of losing a finger if she reached back to touch the harness hinges. The scene's weird visuals also inspired David Bowie's song "Underground." But David Bowie didn't perform them. Choreographer Michael Moschen stood behind Bowie and reached his arms into frame. That means Moschen did all those tricks completely blind. 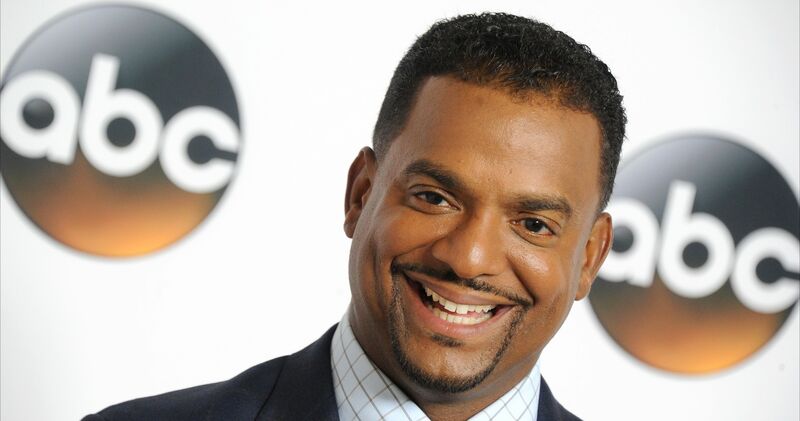 Henson called his performance the "closest thing to real magic" he had ever seen. 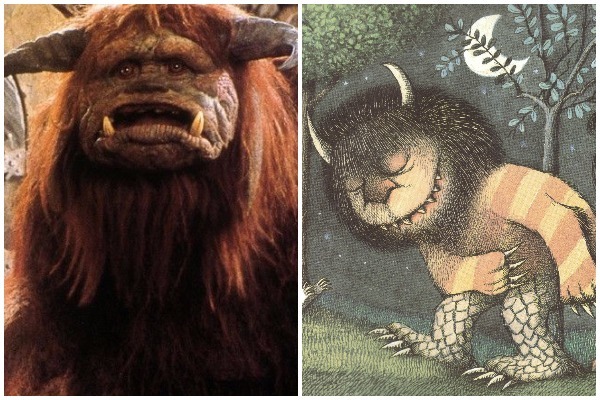 Maurice Sendak, the author of Where the Wild Things Are, noticed a few similarities between Labyrinth and his book Outside Over There. Henson even planned to feature creatures called "Wild Things" in Labyrinth. Sendak threatened to sue, but eventually changed his mind. The movie's credits say that "Jim Henson acknowledges his debt to the works of Maurice Sendak," but supposedly Sendak never got over the ordeal. 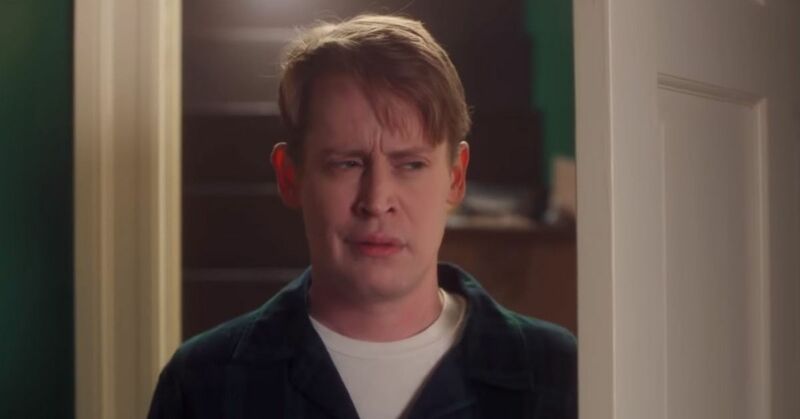 At the start of the movie, Sarah's room has a figurine or doll of pretty much every character she meets later in the movie. There's even a photo of David Bowie hiding in the scrapbook of her mother's acting career. 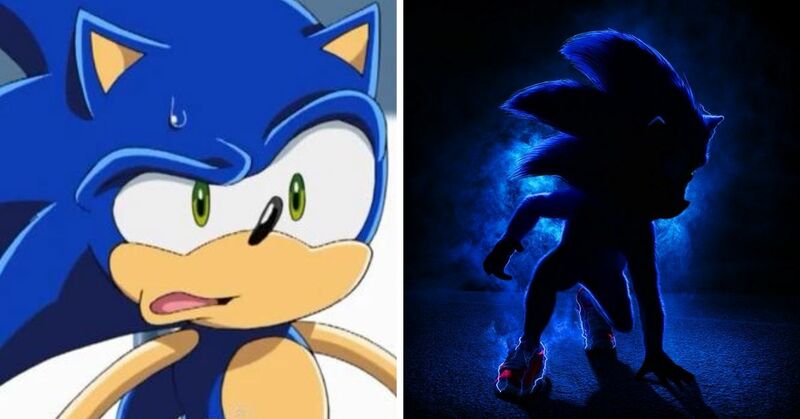 Really think about all the work that went into this scene. There are 48 puppets, 52 puppeteers, eight actors in goblin costumes, and David Bowie all singing and dancing to the same tune. Bowie also re-recorded the baby noises for the song, because he thought the actual baby's noises didn't sound right. Jareth was originally meant to be a puppet, but then Henson settled on the idea of casting a famous musician. 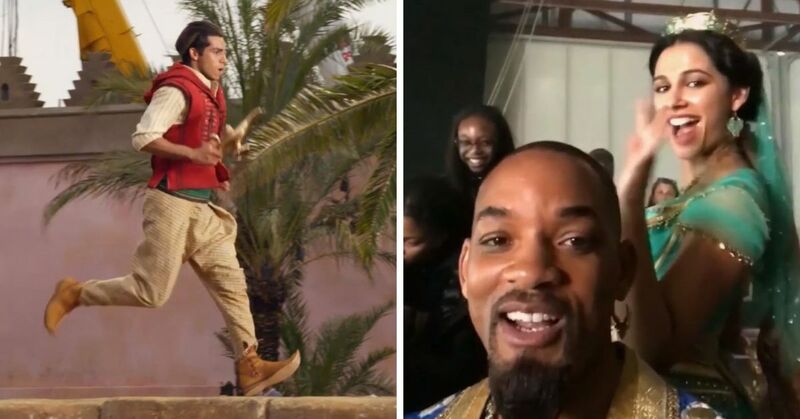 Michael Jackson, Prince, Sting, and Mick Jagger were all seriously considered for the part. In the end, Henson's kids were big Bowie fans, and they pushed their dad to pick him. It still looks pretty good, considering Labyrinth came out in 1986. 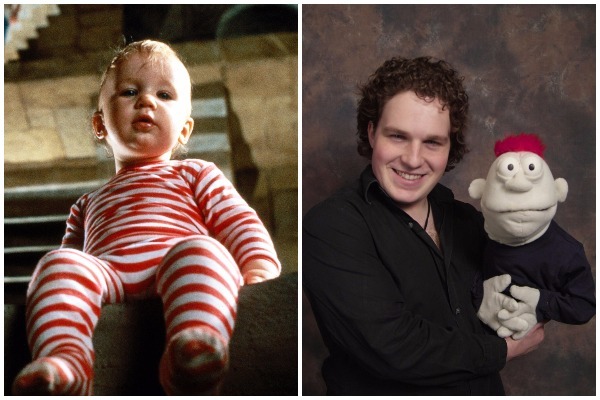 Toby Froud, the son of the movie's designer Brian Froud, played the kidnapped tot. Later, he followed in his dad's footsteps and worked as a designer, artist, and puppeteer for movies like Paranorman and The Chronicles of Narnia. He doesn't remember much from his time on set, except that he supposedly peed on David Bowie the first time they met. In the Cary Grant and Myrna Loy comedy The Bachelor and the Bobby Soxer, you can catch Grant's fast-talking character saying the classic "Voodoo" line. Did you ever notice this? David Bowie's character always has his eye on Jennifer Connelly as she travels through the labyrinth. 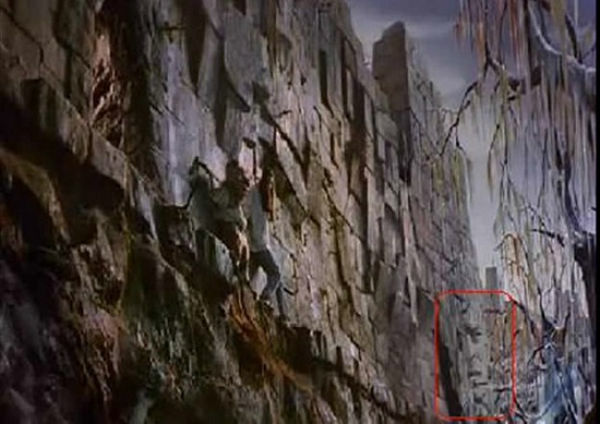 There are even more Jareth faces hiding in the movie. 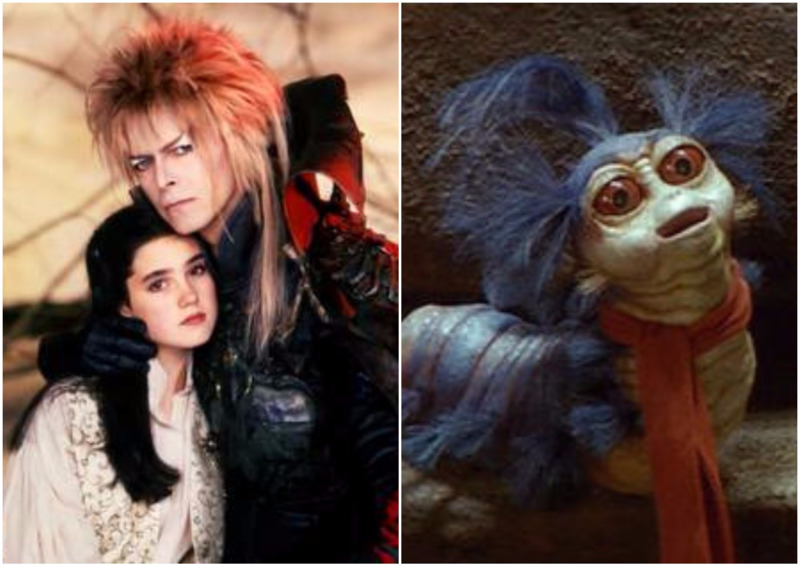 See if you can find them all the next time you re-watch Labyrinth. Jane Krakowski, Yasmine Bleeth, Sarah Jessica Parker, Mary Stuart Masterson, Laura Dern, Marisa Tomei, Helena Bonhma Carter, Ally Sheedy, and Mia Sara. They all auditioned, but 14-year-old Jennifer Connelly impressed Henson so much that she won the part. The character's complicated and expensive costume somehow made its way to the Unclaimed Baggage Center in Scottsboro, Alabama, where it was discovered inside a huge crate. To this day, Hoggle is on display in the center's Unclaimed Baggage Museum. Share this list if you love Labyrinth!